What is the Live Well Weight Management Program? To begin, let’s talk about what it isn’t. It is not a diet and it’s not a weight loss program. It does not use pharmaceuticals or diet pills to make you lose weight or to suppress your appetite. It is not designed to induce the starvation response that occurs with most diet plans. Research shows that most diet programs, including the most well-known exercise and diet television show – “The Biggest Looser” – fail. And not only do they fail, they fail badly because the great majority of participants gain all their pre-diet weight back and then some. This is called Yo-Yo dieting. If you’ve been on a diet, you have most likely had this experience. This happens for multiple reasons. First, unless you are doing the right kind of exercise, you are losing muscle along with fat. Muscle is the primary place fat is burned, so at the “end” of your diet you have less muscle to burn fat & this contributes to regaining of weight. Secondly, while on a diet, the starvation response is induced, which turns on genes designed to hold on to fat so that you regain the weight you’ve lost. Third, if you have been on diet pills or appetite suppressants, once you stop them your hunger returns. Fourth, when it comes time for you to transition on a diet to the maintenance plan there is rarely enough variety in it to keep you from wandering off the reservation. And finally, you were on a diet, not a Lifestyle. The fact is that weight loss diets are not sustainable; it’s easy to change your eating habits for a short period of time, but when you fall back into old habits after a few weeks, all the weight comes back, plus more! When you go on a rapid weight loss diet, your brain actually perceives that you are living in a time of famine. As a consequence, your metabolism decreases, you store more fat, and your brain signals that you need more food. Each time you repeat the cycle of rapid weight loss, it takes longer to lose weight, it comes back more quickly and you are more likely to accumulate extra weight each time. 95% of people will regain the weight they lost within one year. In fact, the majority of people will end up gaining back more weight than they lost. Not only is Yo-Yo dieting not effective but it is dangerously unhealthy. Studies actually show that Yo-Yo dieting increases Obesity and Overweight, which together are the second leading cause of preventable death in the United States. Obesity-related conditions include Heart Disease, certain types of Cancer, Stroke, Alzheimer’s and Type 2 Diabetes, which are the #1, #2, #4, #5 and #6 leading causes of death, respectively. And since 95% of dieters regain all the weight and more, If you go on a diet, at a minimum, you have wasted your time and money. But worse than that, you will have shortened your life, damaged your quality of life, astronomically increased your future medical costs and insured you will be on multiple pharmaceuticals, which according to a Harvard Ethics Department study is right up there with Stroke as the 4th leading cause of death. It is now well understood that what you eat is the biggest contributor to your health or disease. What you eat, either nourishes your cells or makes them sick. 90+% of you who eat the Standard American Diet (SAD), which the majority of Americans eat, have 1 or more nutritional deficiencies. It is this lack of nutrition, these nutritional deficiencies that make us sick and lead to a host of diseases. Add to that the overfeeding of sugar, processed carbs and starches that contribute to abdominal fat, inflammation and oxidative stress and poor health is very likely. The downward spiral of health and productivity may sound familiar: Feeling tired and stressed makes it easy to overeat and indulge in sugar and unhealthy-fat laden foods (processed foods – primarily processed carbs). The weight gain that follows makes you feel tired and makes exercise more difficult, decreases your self-esteem, which decreases your motivation…you get the idea. This repeated behavior can have a serious impact on your health and happiness. The good news is there is also a positive spiral of health and productivity. In this spiral, you start by taking one small step in a positive direction. You keep taking small steps forward, focus on learning and improvement, and keep on your path even if you stumble. By enrolling in this weight management program, you are entering the positive spiral of health and productivity. This program is not a quick fix, but rather a tool to help you learn to adopt a new lifestyle and way of eating. Unlike a diet, Live Well Weight Management is your gateway to a Lifestyle of Eating Well to Look Well, Feel Well and Live Well, which is why we call it Your Weigh to Wellness. It is a process that begins with modification of your diet. And before moving on we need to make a sharp distinction between the words diet and diet, because it is confusing, and we can’t have this conversation without using the correct word – diet. So, here’s the distinction. “A diet”, as in being on a diet, is a temporary alteration in the foods you choose to eat most often as a way to lose weight. Your diet, on the other hand, is the sum total of foods you choose to eat on an ongoing basis. So for example, some people eat a vegan diet, some a meat & potatoes diet, some a pescitarian diet, a fast food diet, a diet high in processed carbs, etc. The Live Well Weight Management Program is designed to allow you to change your diet over time in a way that will work for you so that one day you don’t just revert back to the unhealthy diet you chose to leave behind. And, along the way, you will lose weight, if that is your goal. You can choose to do this at a pace that works for you and your health. The way our program succeeds where others fail, is the choice of your initial diet that you ultimately get to expand and variety of foods you get to add in as you expand. This is the point at which most “diets to lose weight” fail. Our program expands your food choices in a way that provides variety while preventing fat accumulation and builds muscle. Our Live Well Weight Management program is designed to help you achieve your optimal weight and body composition and maintain it for life. This is not a diet, though you can lose weight on it fairly quickly, should you opt for that track. There are several initial meal plans that you can chose from and as you lose weight you will learn how to add in additional variety. This is the part where most people fail or rebound and regain most of the weight they have lost during their diet. They get tired of the foods they have been restricted to while on their diet and the narrowly expanded “maintenance phase” of most diets just doesn’t keep eating interesting enough. We provide a larger variety so you can Stay in the Game! Achieve an Optimal Weight that is focused on Your Optimal Body Composition. Be able to choose your initial meal plan. Be able to make adjustments to this initial meal plan to help you “stay in the game” instead of giving up or cheating. Eat foods that aren’t on the narrowly expanded “maintenance phase” of most diets. Add back a large enough variety of foods to keep food/meals interesting. And, most importantly, do this in a way that greatly expands food choices, which again will “keep you in the game” until you have created a new Lifestyle. That is ultimately what it takes, making changes that become habitual. Remember Einstein’s definition of Insanity – Doing the same thing over & over and expecting a different result! If you are tired of Yo-Yo dieting, aren’t happy with the way your body looks and want to begin a Healthy Lifestyle our Live Well Weight Management Program may just be for You. If you have had problems losing weight on other diets or are not losing fat on the Live Well Weight Management Program, there is a reason. These may include such things as food sensitivities, hormone imbalance, poor nutrient absorption, environmental toxins, genetic mutations, etc. 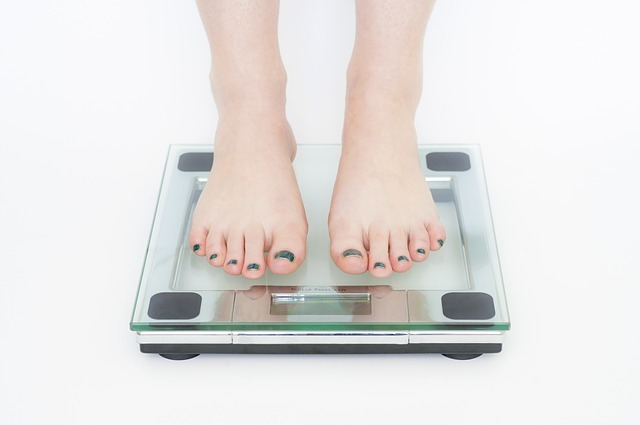 We can test for and often correct or work around these imbalances at St. Petersburg Health & Wellness separate from the Live Well Weight Management Program. We invite you to come learn to Eat Well to Look Well and to “Live Well”.